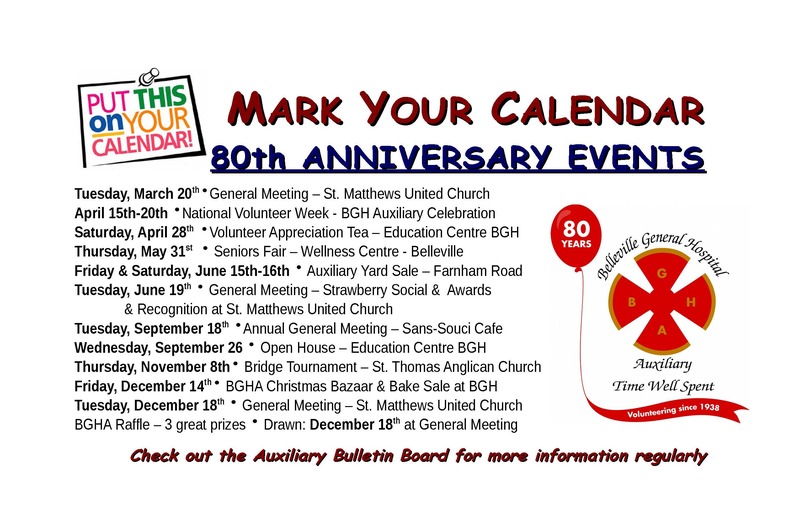 BGHA is celebrating 80 years of continuous volunteer services and programs. 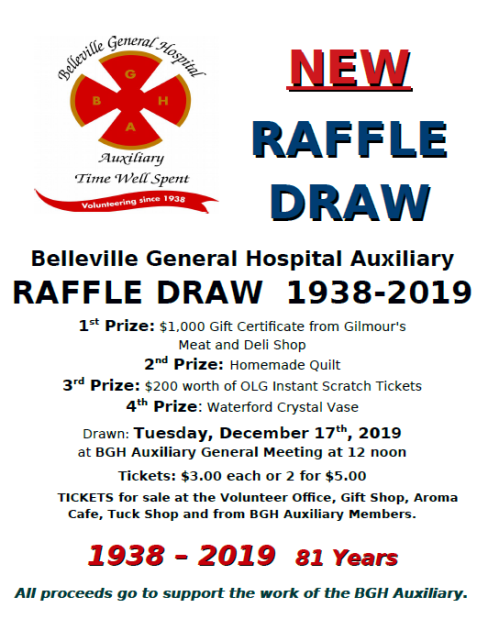 Click here to read an excerpt from the pages of BELLEVILLE GENERAL HOSPITAL BGH One Hundred Years 1886-1986 history written by W.F. Buckley. 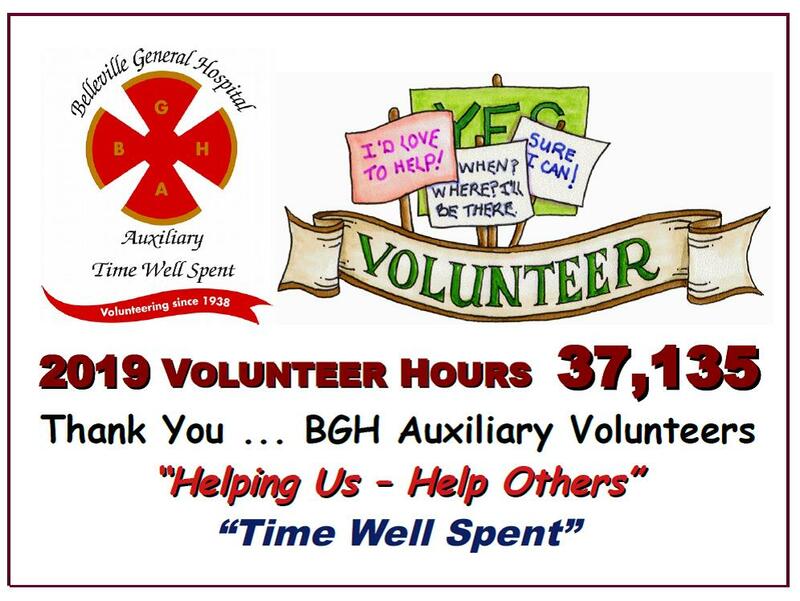 The history of BGH includes a section on the BELLEVILLE GENERAL HOSPITAL AUXILIARY on pages 143 through 162! Belleville General Hospital Auxiliary’s President, Leah Johnson enthusiastically announced, that after recently completing their last $100,000 pledge to cancer care at BGH, the BGHA is committing to another five-year, $100,000 pledge, this time to benefit the building of the new Fracture Clinic at QHC’s Belleville General Hospital! 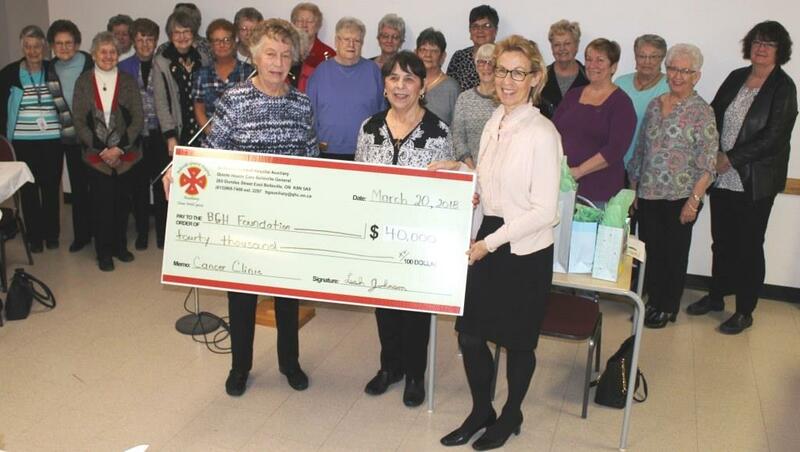 The volunteers of the Belleville General Hospital Auxiliary’s Opportunity Shop presented a $40,000 cheque to the BGH Foundation’s Executive Director Heather Smith. 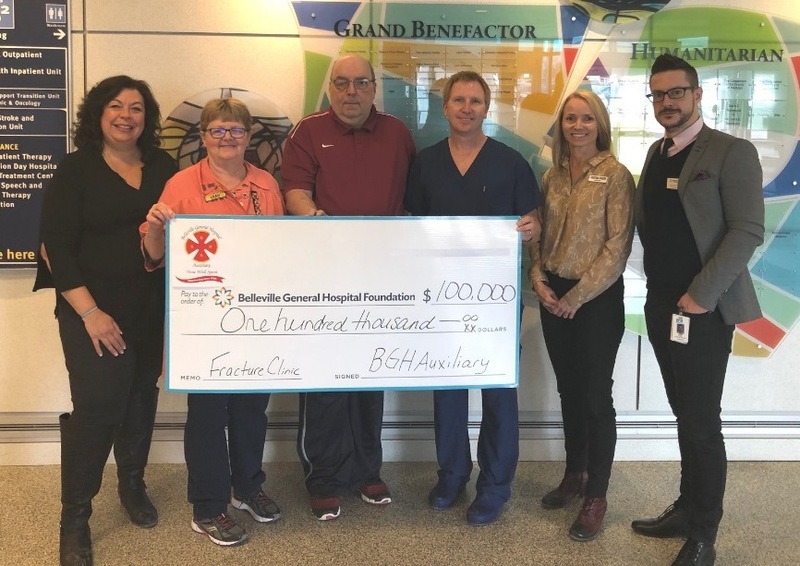 The donation is the latest installment of a $100,000 commitment made by the ‘Opp Shop’ team in support of cancer care at BGH. The Auxiliary anticipates donating the final $20,000 over the next year. 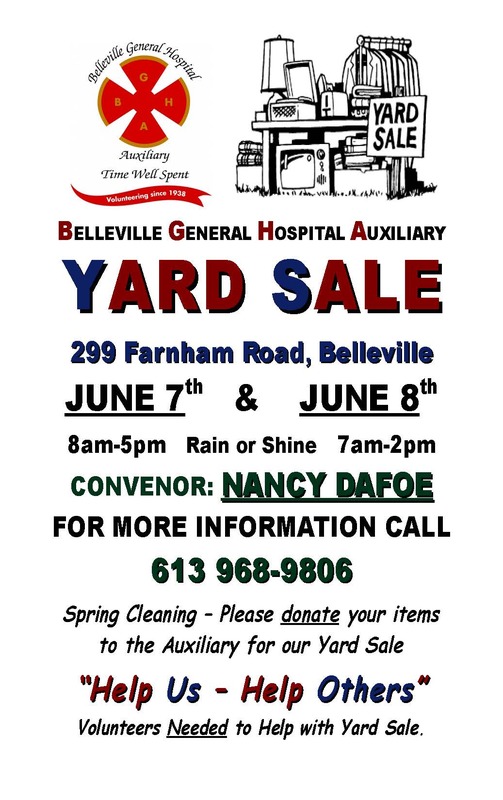 To help the Auxiliary reach that goal, consider donating quality used clothing items to the shop, located at Market Square in downtown Belleville. Donations can be dropped off at the shop or placed in the lockers located just inside the rear entrance to the Sills Wing (basement level). Photographed here: Lois Garrison and Doreen Cook, Co-Conveners, BGHA and Heather Smith, BGHF, together with Auxiliary volunteers from the Opportunity Shop. 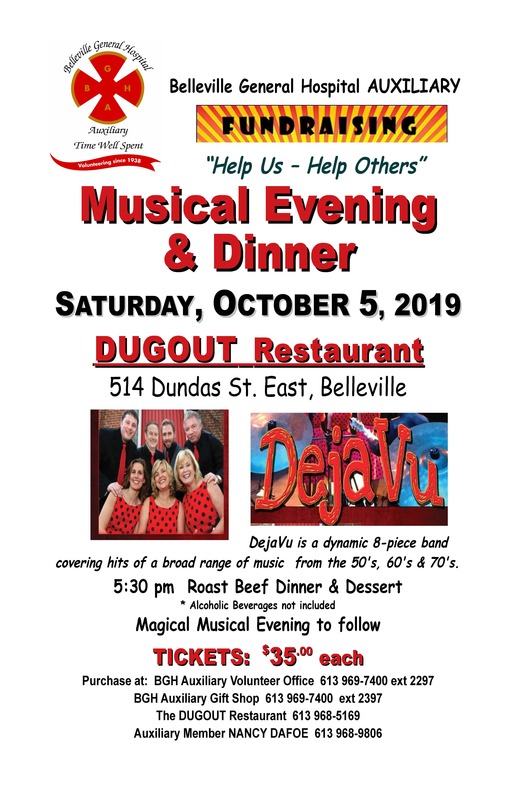 Throughout the year, the BGHA holds special events and activities to raise additional dollars to support Belleville General Hospital. 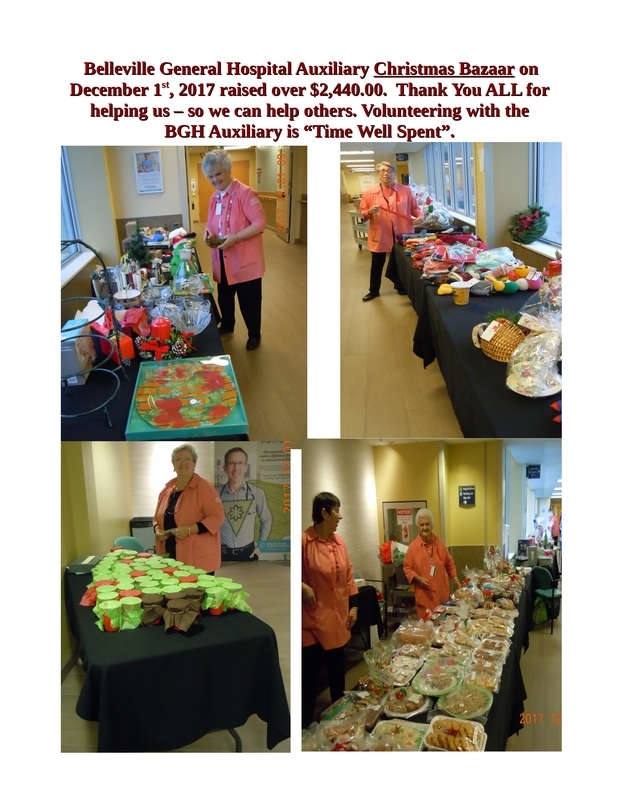 As shown in the photo to the left, the amount raised by the BGH Auxiliary is impressive indeed! 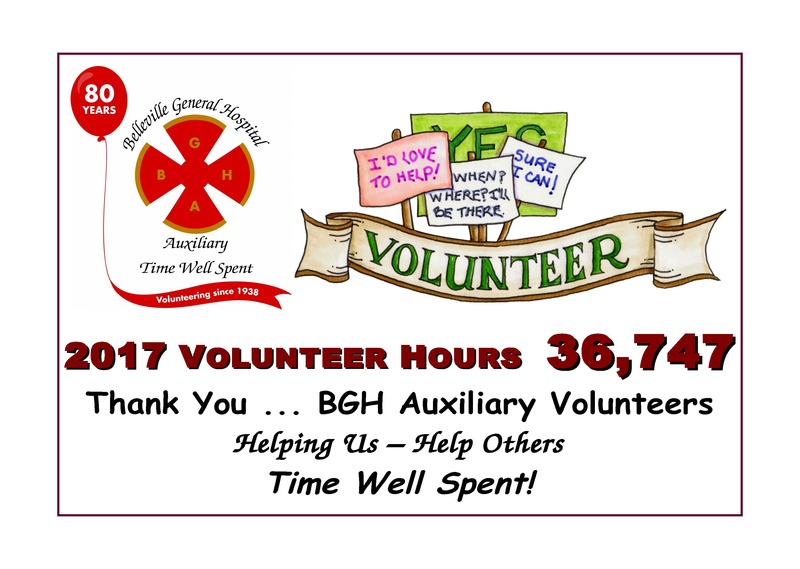 Click here to view the latest BGH Auxiliary Newsletter! 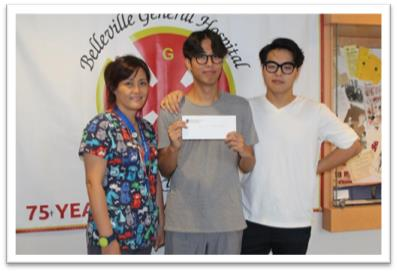 In his three years volunteering with the Belleville General Hospital Auxiliary, Kevin Kang has logged many hours working in the gift shop, doing meal time assistance on Sills 3, and helping to recruit other student volunteers. This month, Kevin was honoured with the BGH Auxiliary Student Volunteer Bursary. The $1,000 award will help Kevin pay for his education at McGill University where he will be studying anatomy and cell biology. Kevin followed in his older brother Eric’s footsteps and started volunteering in 2014. His mother, Yune Song, who now works as an RPN on Quinte 4, also used to volunteer at Belleville General Hospital. “Kevin has volunteered far above and beyond the 100 hours required to receive this bursary,” said Leah Johnson, President of the BGH Auxiliary. “He’s been an outstanding volunteer who has shown dedication and professionalism. We’re going to miss him. 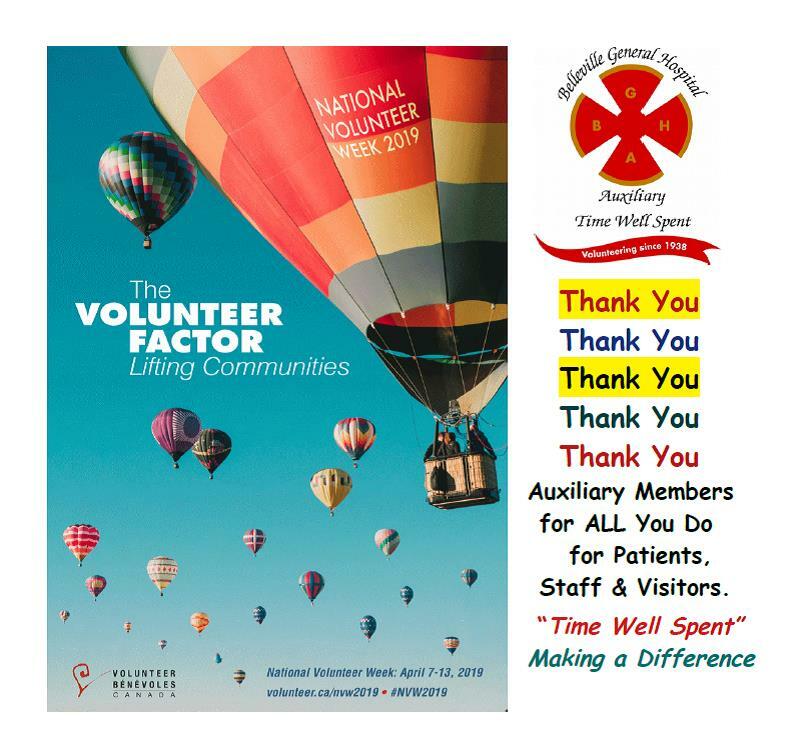 BGH Auxiliary Volunteer Week in the City of Belleville! Belleville Mayor Taso Christopher helps launch the festivities on Monday September 19th!